Railpictures.ca - Michael Da Costa Photo: Working the assistant-conductor position on this train also bringing the camera to work, GO 916 with a double set F59 sits outside the train shed on track number 3 awaiting to depart eastwards on time to Oshawa. | Railpictures.ca – Canadian Railway Photography – photographie ferroviaire Canadienne. 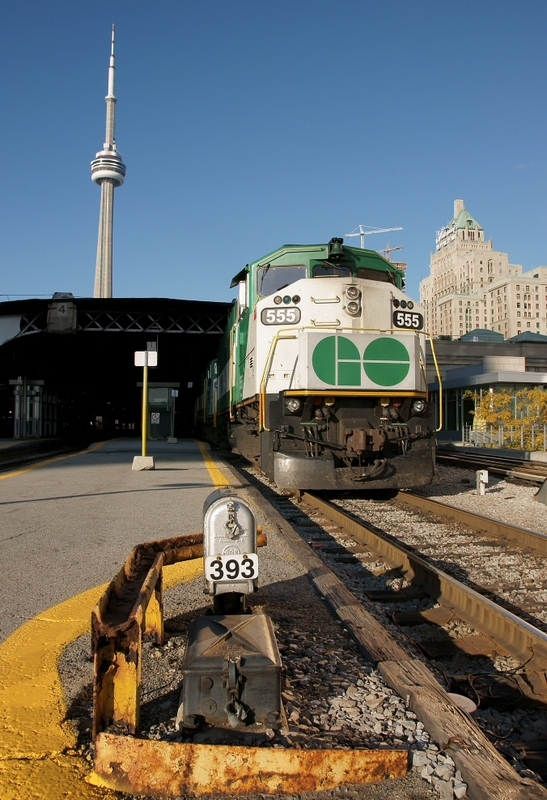 Caption: Working the assistant-conductor position on this train also bringing the camera to work, GO 916 with a double set F59 sits outside the train shed on track number 3 awaiting to depart eastwards on time to Oshawa.